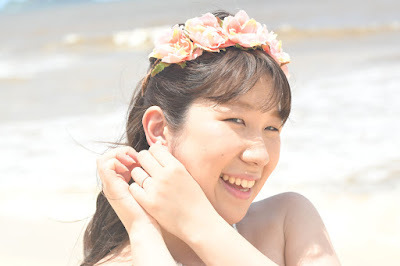 Beautiful Japanese Bride Aki poses for Oahu Photographer at Magic Island. Nice sparkling ocean backdrop. 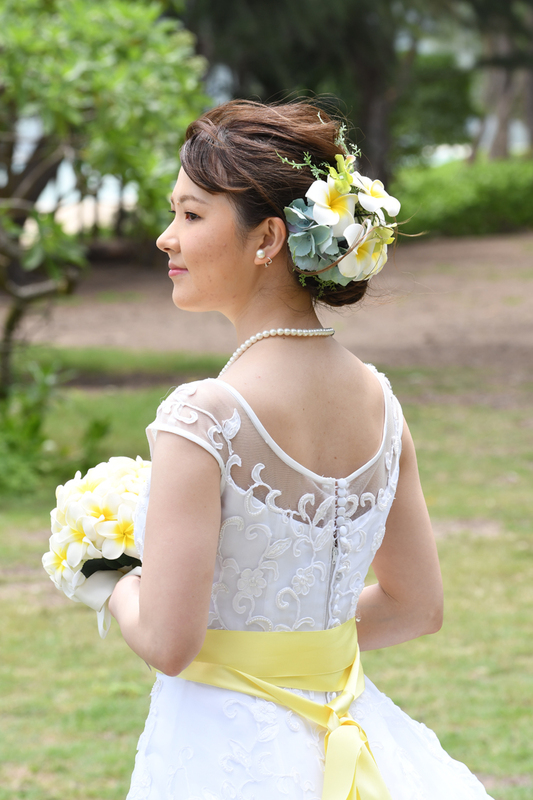 Photo taken by Photographer Robert Hamilton at Plumeria Chapel in Honolulu. 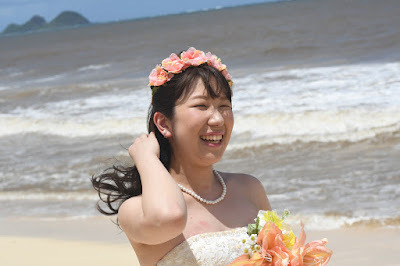 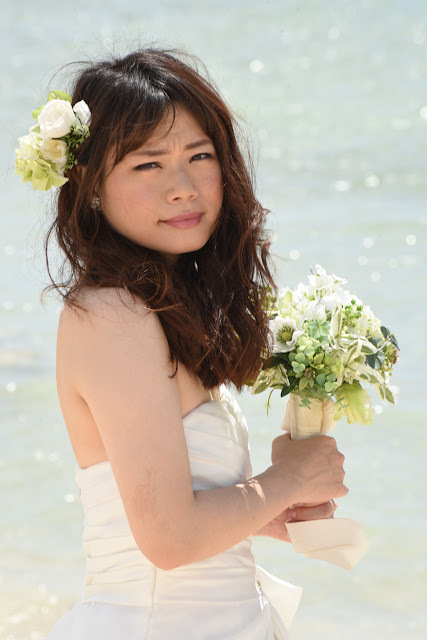 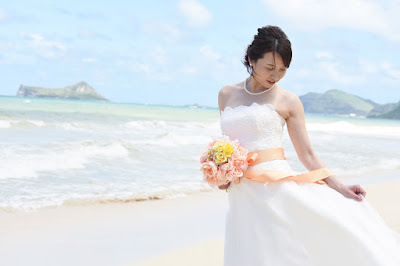 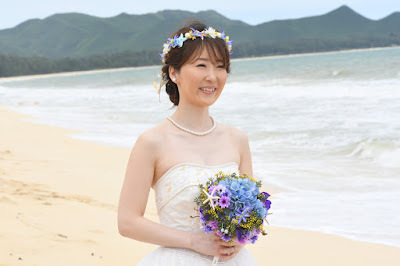 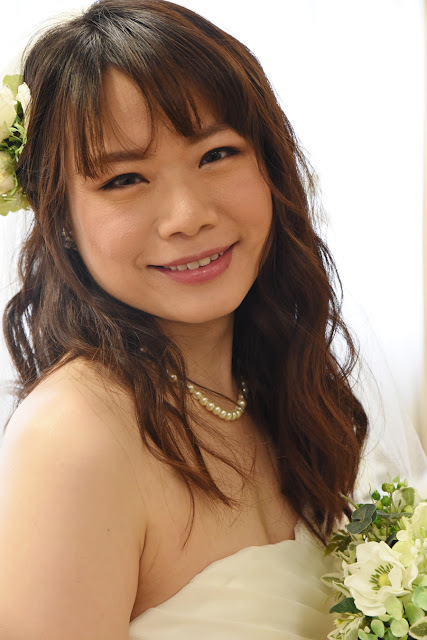 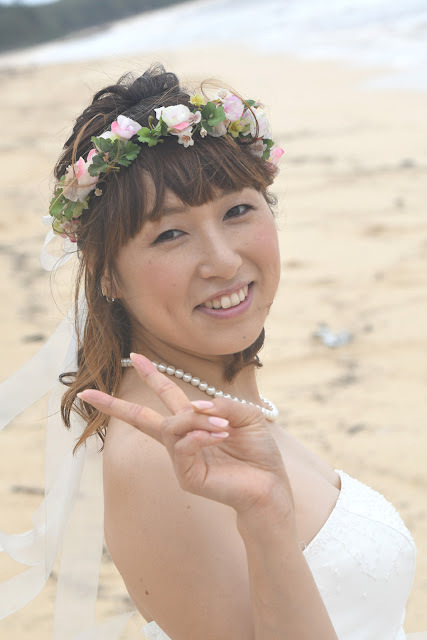 Lovely shot of Japanese Bride Akina at Waimanalo Bay. 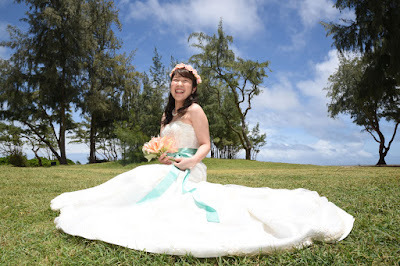 Before the beach we shoot some nice pics at Plumeria Wedding Chapel in Honolulu. 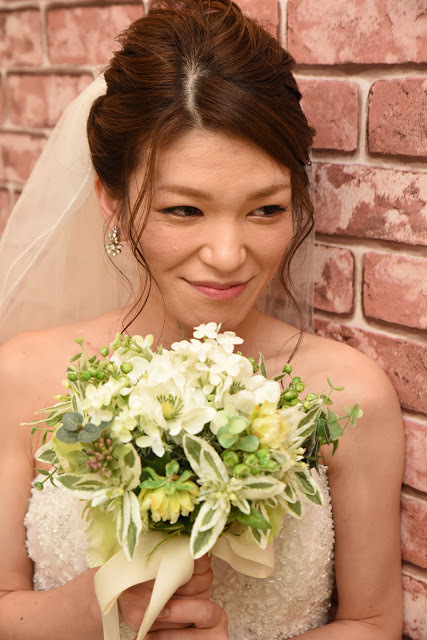 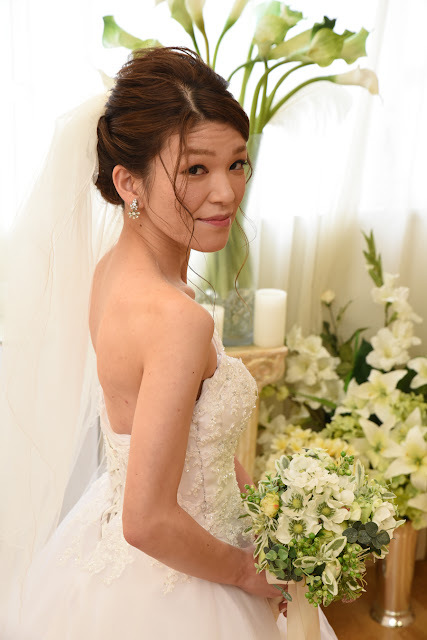 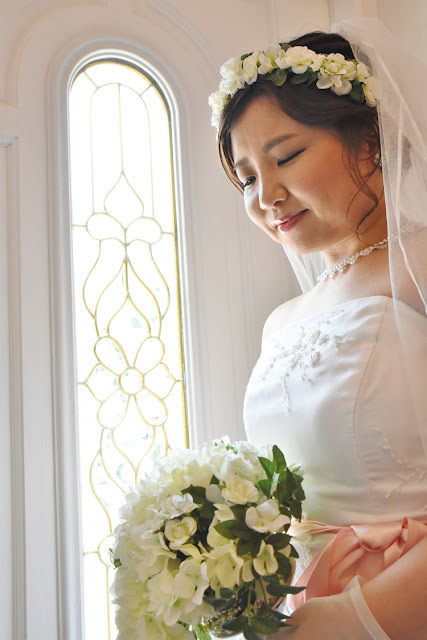 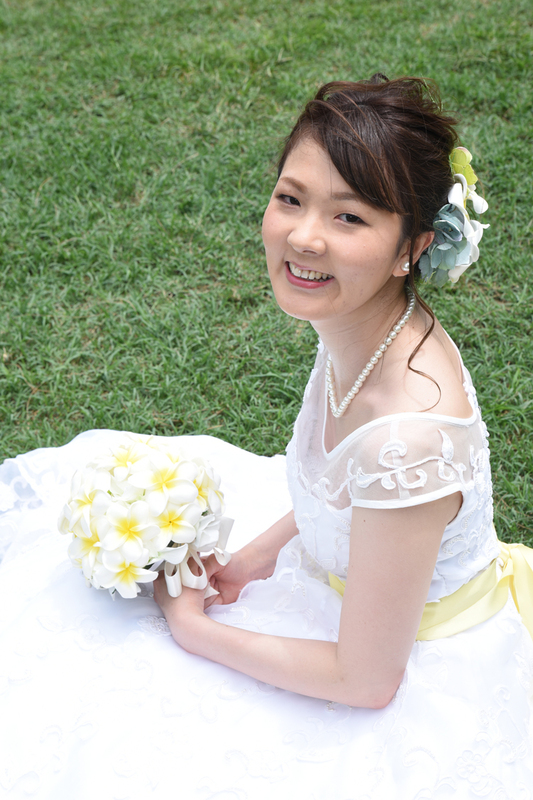 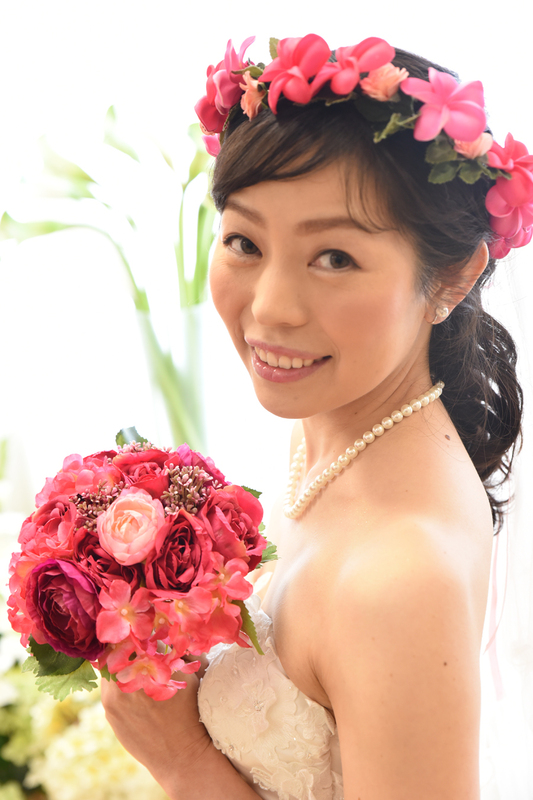 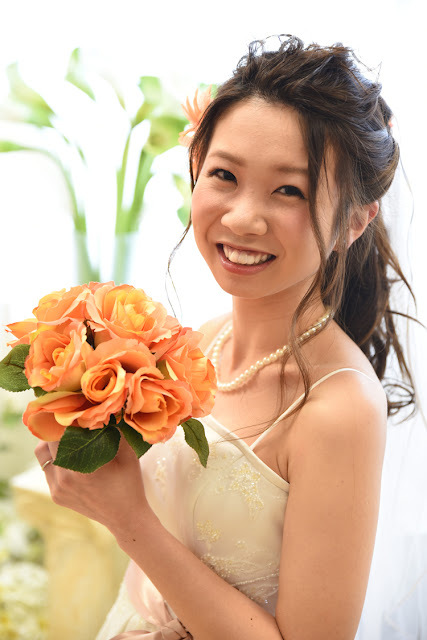 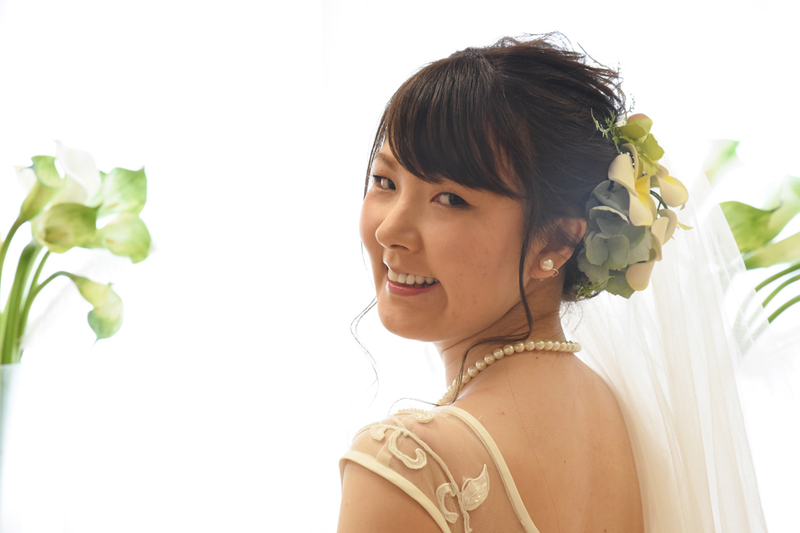 Beautiful shot of Japanese Bride Misaki holding her bouquet. Photo taken at Ala Moana Beach Park, Honolulu, Hawaii. 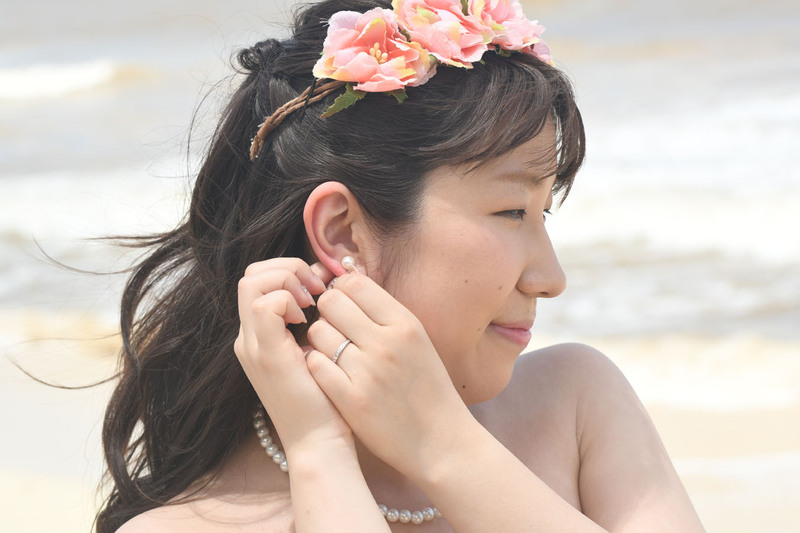 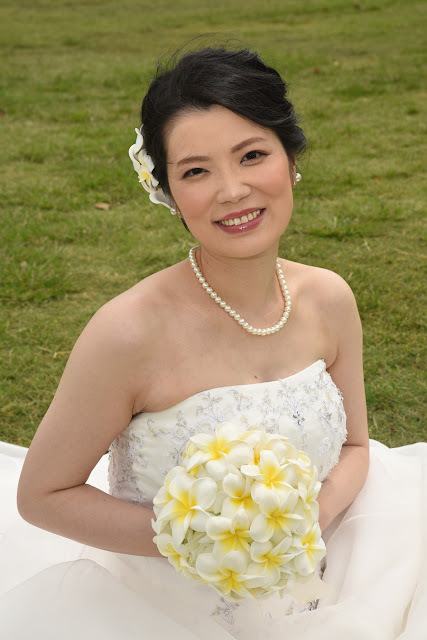 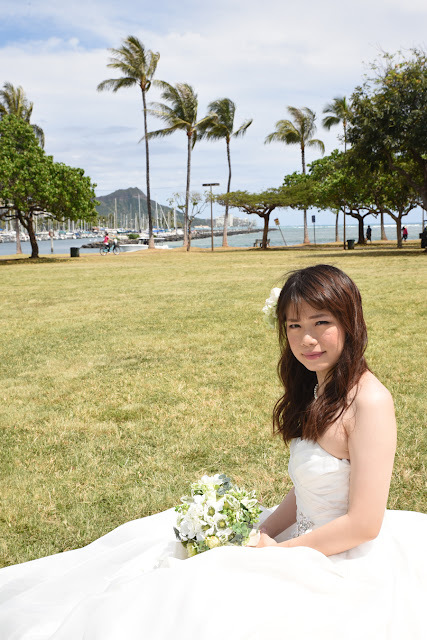 Lovely shot of Japanese Bride Miasato at Ala Moana Beach Park in Honolulu. 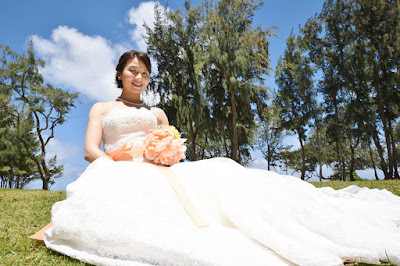 Bride holds her orange silk-flower bouquet at Plumeria Chapel. 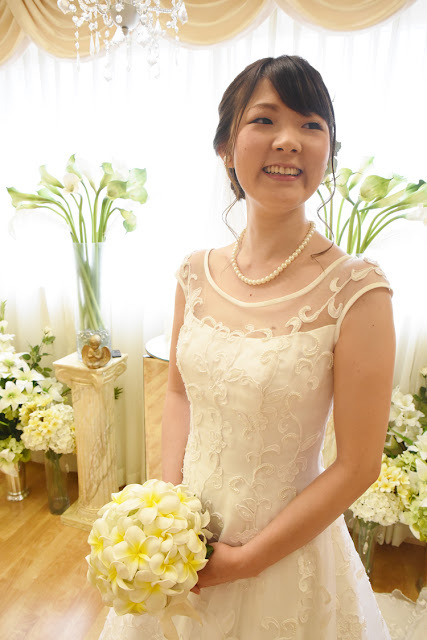 Nice display of her beautiful wedding dress in photo below. Princess pose shot with Japanese Bride Minami at Magic Island. 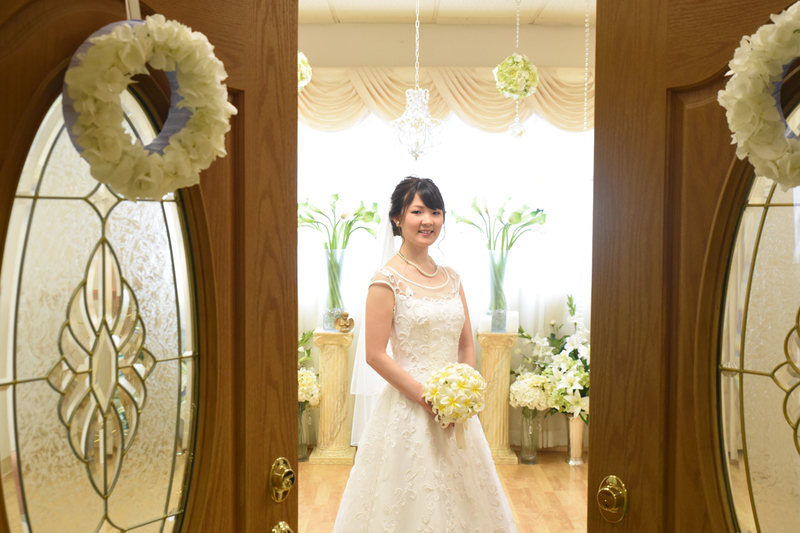 Something special about a Bride standing by stained glass windows.